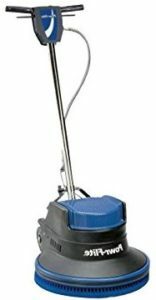 Are You Looking to Buy Best Floor Buffer? Here is the ultimate guide about floor buffers. You can learn lot of things about floor buffers using this guide. Floor buffer or rotary floor machine is not a new equipment. People are using floor buffers since many years. It is also called floor polisher or floor burnisher when its speed over 1000 rpm . Mainly floor buffers use to clean non carpet floors. If your house floor made from hardwood, marble or tile, you are the ideal person to buy floor buffer. Ok, let’s get started. Here is the quick comparison of floor polishers and buffers for home use. Floor Buffers help us to cleaning hardwood, marble or tile floors very easily. Unless, It is very tough job to do manually and consume lot of time to get shining floor. Modern Floor buffers help us to not only floor buffing but also Cleaning, Scrubbing, stripping, waxing and polishing of floors. 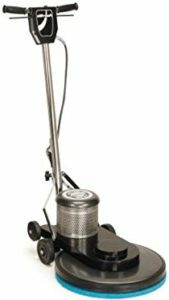 There are various types of floor buffer machines for different applications. For domestic usage, We can use smaller floor buffers and Commercial Usage we can use powerful industrial floor buffers. According to your application, You can choose low speed, high speed or dual speed floor buffers. Because, Prices vary with the features and powerful of floor buffers. Here is the main types of floor buffers currently available. Normally, Low Speed Floor Buffers are used for polishing, scrubbing and tripping any type of floors such as concrete, tile, hardwood wood floors. Generally, Standard Low Speed Floor Buffers comes with polishing pad diameter size range of 13 inch, 17 inch and 20 inch. If your home floor area less than 2000 squire feet and have many obstacles, Floor polishing diameter 13 inch – 17 inch floor buffers ideal for stripping, scrubbing, and polishing. Larger diameter floor machines size of 17 inch – 20 inch are used for scrubbing, stripping, screening wood floors and polishing floors in a large open places, classrooms, hospitals, gymnasium floor, Hotels and open corridors. High Speed Floor Buffers are suitable for scrubbing and polishing hard floors. Also, It is best way to clean hardwood floors. Speed Floor Buffers have ability to scrubbing floors faster than standard low speed floor buffers. Many Dual Speed Floor Buffers comes with 20 inch diameter polishing pad. The Oscillating Floor Machines are the latest invention of floor buffers. They comes as rectangular shape floor machines. These Oscillating floor machines ideal for chemical free scrubbing and stripping. Normally, The Square Strip Oscillating / Orbital floor machines comes with high RPM heavy duty 1.5 HP motor. Because, It has ability to create high oscillation rate such as 2,400 per minutes. Also, It rectangular shape allow users to scrubbing squire corner floors very easily than round floor buffers. Ultra Speed Floor Buffers which rotates 10 times more than regular floor buffers are called high speed burnishers. These High Speed Burnishers have ability to rotate speed of 2500 RPM. Normally, High speed burnishers comes with 20 inch diameter polishing pad. Also, It has lightweight and very easy to operate. Burnishers have fixed rear wheels that remain in contact with the floor while in use. The normal mode of operation is in a straight line pass with overlapping of 10 percent. Ideal for large space floor areas such as hospitals, offices, indoor play ground,..etc. Bestfloorbuffers.com is a participant in the Amazon Services LLC Associates Program, an affiliate advertising program designed to provide a means for sites to earn advertising fees by advertising and linking to Amazon.com, Amazon.co.uk, Amazon.it, Amazon.de and other Amazon stores worldwide.